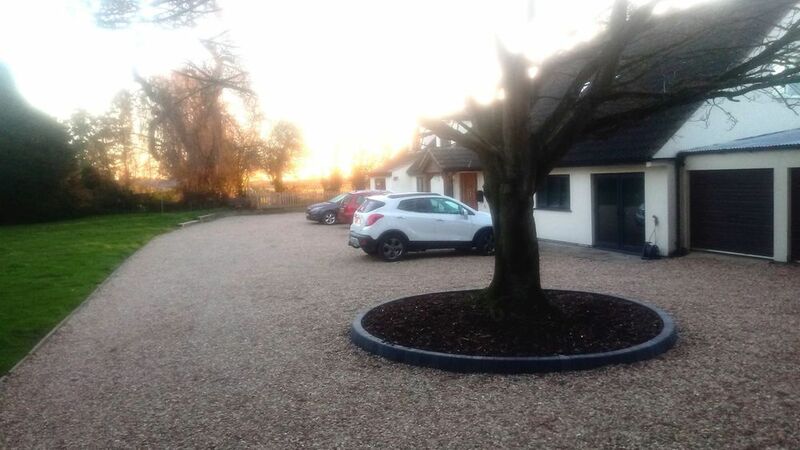 I had a succession of (well, 3) different companies come out and quote for what was a big but straighforward tidy up and resurfacing job in our drive and parking area. Each one had different ideas and wildly varying prices, but no one was actually listening to what we wanted. Until JK Paving came along that is. John listened, advised, measured up and went away to quote the job. No instant estimates or hard sell, just a good conversation with a guy who clearly knew his trade and knew how to deal with his customers. The quote was fair, and we agreed to start work three weeks later. John and three guys turned up as arranged to begin the ground work and as I work from home I was able to watch their progress and sort them out with coffees and teas. They were all respectful, hard-working and clearly wanted to do a good job. Throughout the week John was overseeing the work and fetching various bit and pieces as the job progressed. All the time he was keeping me informed and his team were working well together, with all works completed within the schedule advised and with no added extra costs or surprises. The end result is perfect, and six months later looks as good as it did the day they finished. A spectacular result from a company that I probably wouldn't have found any other way, and testament to the real value of MyBuilder and the way in which you can select your contractor through genuine feedback and previous work photos. JK Paving deserves every bit of the praise they have earned on MyBuilder, and are winners at every level in the sometimes frustrating and disappointing process of finding the right people for the job.